AS Monaco’s supremely talented playmaker, Rony Lopes, has been widely considered one of the best players in Ligue 1 this season. Lopes’ goal-scoring form, particularly since the turn of the year, has prompted many to call for his inclusion in this summer’s World Cup squad. The Brazilian-born Portuguese international spoke exclusively to PortuGOAL’s Marino Peixoto about his meteoric rise in Ligue 1 this season, coach Leonardo Jardim, Bernardo Silva, the Liga NOS and Portuguese domestic football, playing for the Seleção, and Portugal’s chances at the World Cup this summer. The numbers suggest this is the best season in your career. Do you see it that way? What has changed for you this season? This has definitely been my most productive season, in terms of appearances in the club as well as assists and goals I scored. I have been called up for the Portuguese senior team for the first time, so it can be said this is my best season so far. The trust of the club, combined with the work with Mister Leonardo Jardim and great team-mates have played decisive roles in improving my game. I feel happy I’ve been able to take this opportunity to develop and grow while helping Monaco the best I can. Have João Moutinho and Leonardo Jardim helped you get accustomed to life in France? I was used to France as I played in Lille before, so I already knew the league, the players and the country itself. But both Moutinho and Leonardo have played important roles on my development, with great advice and constant support. It’s great to be part of the same team with them. Do you see yourself as a natural successor to Bernardo Silva? You had the opportunity to play for Brazil but opted for Portugal. Why? 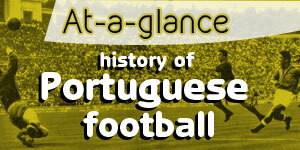 I arrived in Portugal when I was only four years old and my football career began there. First in my hometown club AD Poiares, then at Benfica. Meanwhile I was called up to Portugal’s U16 team and was part of all the youth teams until the U21s. So my football connection with Portugal is very strong, there’s a long-term commitment. I was born in Brazil, have family there and have great Brazilian influences in my daily life, such as in the music I listen to and some food I like, but when it comes to football, I am definitely Portuguese. Portugal has tremendous competition for places in the midfield areas and you missed out on the recent friendlies. Do you still hope to make the squad for the World Cup? 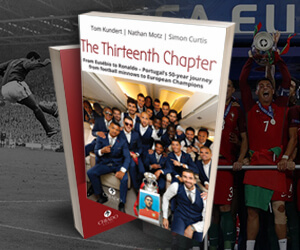 Portugal are the current European Champions; the quality of the squad is awesome. It’s a dream to represent Portugal in a major competition, but I am aware there are other players who have what it takes to be part of the squad. I am only focused on helping Monaco at the moment, we still have one objective to reach and I know that if I perform well I will have a better chance of being called up for Portugal. It will be recognition and that possibility obviously motivates me to do my best every day. Portugal are European Champions. Do you believe the Seleção can experience more glory in Russia this summer? Portugal will play to win every match, one by one. That’s the winning mentality of the team, of Mister Fernando Santos and of our captain Cristiano. We were drawn in a very difficult group and the first match could well be the final of the World Cup [Portugal-Spain] but also Morocco and Iran will be tough opponents. After the group stage, any opponent will be tough, for sure, so the mentality must be to win one match at a time. It will be tough, but yes, it’s possible for Portugal to do something great in Russia. One of the things that characterises your style on the pitch is that you always play with a smile on your face. How important is it for you to enjoy your football? I smile because I enjoy what I do. I love playing football and I don’t see it as an obligation. I know how lucky I am to be a professional footballer and to earn my life doing what I love most. That is reflected on the pitch naturally and plays a big role on my type of game as well. I’m a positive person and thank God every day for letting me live my childhood dream. What do you miss most about Portugal? 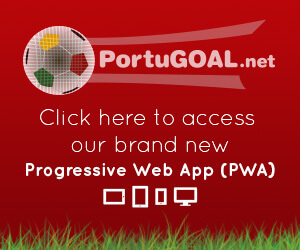 Would you like to play in the Portuguese League? I miss my family and my friends the most, but luckily, they get to visit me often. Of course, the sun and the Portuguese food are great, so I try to enjoy it as much as I can on my days there. The Portuguese League is competitive, but I honestly can’t see myself playing there in the near future. I think Portuguese football is being undermined by what happens off the pitch, rather than the quality of the players and the football played by most teams. We have great players, great youth systems, great managers... but the focus is usually put on people and events that distract people and media from what really counts: the football on the pitch. And that’s a pity. Do you regret leaving Benfica before having the chance to play in the Portuguese League? Fortunately, I regret very few things in my life. I had great years at Benfica but when Manchester City agreed the terms of my transfer and were determined to sign me, I had to go. It was a good opportunity for Benfica and for myself to get to a big club in the best league of the world. Benfica played a decisive role in my development and I still have great friends there, but the move was inevitable. For me.... hes on the plane to Russia, no doubt. Very intelligent and wise comments of a talented player . I sort of want Rony to be our number 10. If he's capable of driving through the middle then that's what we need. This might seem wrong what I'm about to say but after watching Gelson I think he should be our starting right winger over Bernardo. Maybe Bernardo can be our number ten? What I don't understand is with Bernardo's skill set, why can't he play like Isco does? Is it a players mentality or drive to want to play in a certain position? Isco through the middle for Real and Spain is so devastating. Why can't Bernardo do that for us? He doesn't have the speed for the outside and you can tell because he always cuts in with his left for Man City. With gelsons speed and Bernardo's close control of the ball and eye for the pass, he could be a number 10. I don't know, I'm just throwing ideas out there. Carrico needs a call up too. He is great option for future our national team. But right now is difficult for him. We have more complete players right now in this position he plays in. Quaresma and Bernardo are few that comes to mind. But if a player like Gelson get injured then maybe we can consider take him. You see there we can take only 23 player to Russia. Our priority is firstly for complete players, players with experience with our national team and most importantly our style. we scout him at his last match maybe we do not know if he could make it.